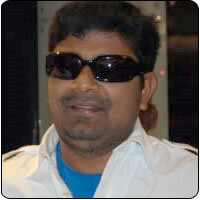 Mysskin’s film with Cheran in the lead will be titled Por Thozhil Pazhagu. While it was initially named Yutham Sei, the title was lapped up by someone else even before Mysskin could register it. Not perturbed, the director changed the title to Por Thozhil Pazhagu despite the fact that Cheran and others not liking it. Cheran, for the first time in his career, will be playing the role of a CBI officer. His trim looks, hair-cut and gym-trained body bear testimony to this fact. The actor is also keenly studying the mannerisms of several CBI officers to get his act right.